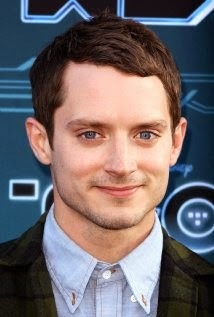 Elijah Wood and his partners at Spectrevision will be taking on zombies in their next project. Wood, along with Daniel Noah and Josh C. Waller will produce the “anthropological zombie film," Curse the Darkness. They are currently in the process of casting the film which The Hollywood Reporter says "will take its cues from purported real-life roots of zombie, which involved chemically-induced slavery widely practiced by plantation owners around the Haitian Revolution of 1803." Filming is to begin on October 27 in Louisiana and according to the film's producers, Curse the Darkness is "set against the modern day backdrop of undocumented workers laboring in the Louisiana sugarcane fields, the story is a terrifying look at the systematic exploitation of the labor force by large corporate entities, as well as a portrait of the plight of undocumented workers in the United States.” Jorge Michel Grau (The ABCs of Death) will be directing Brandon Maurice Williams' screenplay. We'll keep you posted on when the film will hit theaters.